Stems from the August 2017 attack at the violent rally. Fields' sentencing will come at a later date, and he faces life in prison. 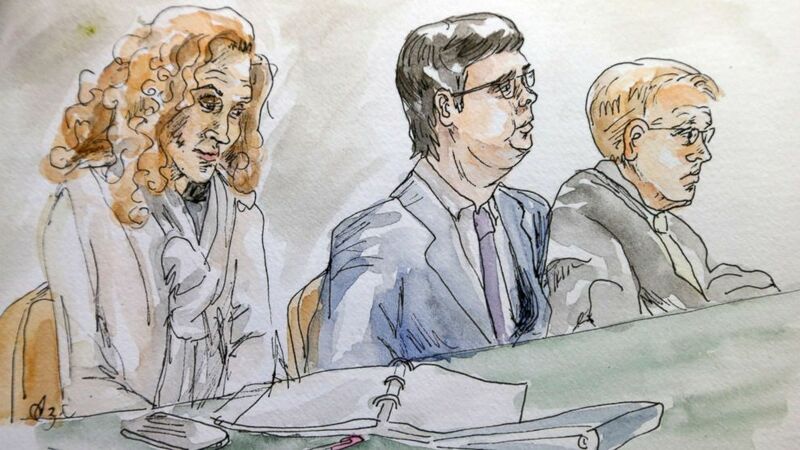 (Izabel Zermani via AP) In this courtroom sketch James Alex Fields Jr., center, sits with his attorneys Denise Lunsford, left, and John Hill during the second day of jury selection in his trial in Charlottesville General District Court in Charlottesville, Va., Nov. 27, 2018. 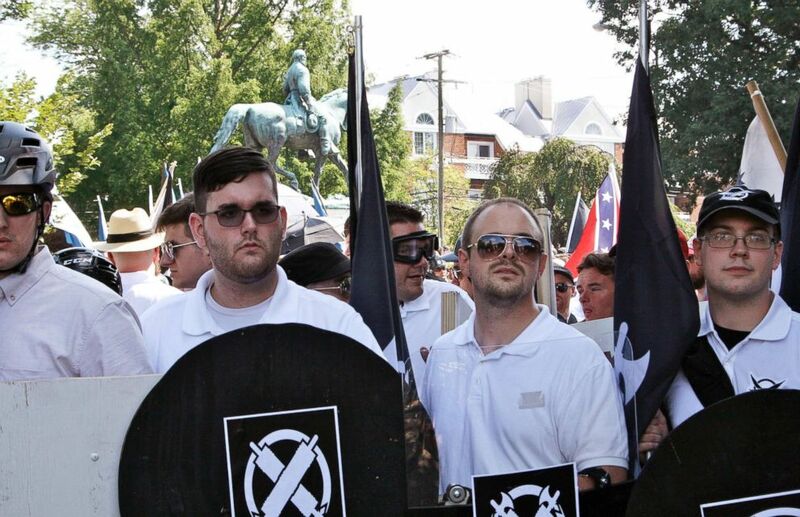 (Alan Goffinski/AP, FILE) In this Aug. 12, 2017 photo, James Alex Fields Jr., second from left, holds a black shield in Charlottesville, Va., where a white supremacist rally took place. The cases stem from Fields' actions at the "Unite for the Right" rally in the Virginia town on Aug. 12, 2017. At the time, a group of white nationalists, which included neo-Nazis and Ku Klux Klan members, descended onto Charlottesville, spurred by the city's plans to remove a Confederate statue from a downtown park. Violence broke out as counter protesters clashed with white nationalists, prompting Virginia Gov. Terry McAuliffe to declare a state of emergency. Fields referred to Heyer's mother in a recorded jailhouse phone call as a "communist" and "one of those anti-white supremacists." When Fields' mother responded, she noted how Heyer's mother Susan Bro "lost her daughter." "It doesn't f------ matter," Fields said, according to ABC affiliate WVAW. 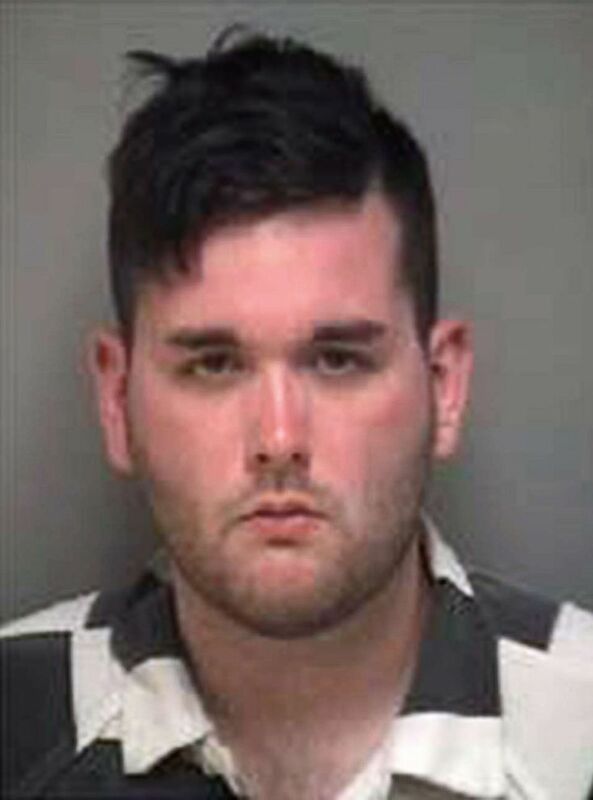 (Albemarle-Charlottesville Regional Jail) James Alex Fields Jr. is pictured in an undated photo released by the Albemarle-Charlottesville Regional Jail. The jury was also shown texts that Fields sent his mother up to and during the rally. On Aug. 11, 2017, the day before the rally, she told him to be careful and he responded "We're not the one [sic] who need to be careful," along with a picture of Adolf Hitler. The judge ruled that the text would be allowed to be entered as evidence, despite Fields' lawyer's protests, saying that it shows intent or motive of malice, according to The Associated Press.